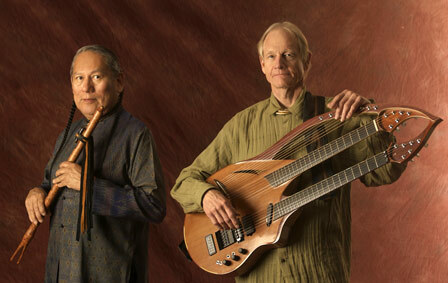 William Eaton has performed and recorded as a soloist, with Native American Flutist R. Carlos Nakai, percussionist Will Clipman, Tibetan flutist Nawang Khechog with the Nouveau West Chamber Orchestra, the Nebraska Chamber Orchestra, and with ensembles he has formed, including musicians: Clipman, Claudia Tulip, Allen Ames, Mary Redhouse, Edgar Meyer, Udi Arouh, Arvel Bird, Robert Tree Cody, Rachel Harris, Keith Johnson, Vusi Shibambo, Fitzhugh Jenkins, Zirque Bonner, and the Monks of the Tibetan Drepung Loseling Monastery. As a soloist and with the above artists Eaton has completed ten recordings for the Canyon Records label. 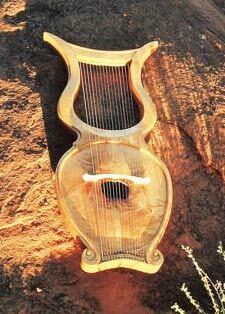 An innovative artist, Eaton’s musical composition is an evocative style that captures the spirit of the Southwest. Combining structure with improvisation he has written scores for chamber orchestra and Sonoran desert ensembles, ambient landscape music, lyric folk songs, indigenous trance music, and sound track scores including the Emmy award winning video “Beyond Tradition.” He has composed and co-composed ten albums for Canyon Records including the Grammy nominated Ancestral Voices and In A Distant Place. Music of the William Eaton Ensemble resounds within the landscape, light and life of the northern Sonoran Desert. Tradition meets new exploration. The Ensemble’s music is a melding of sounds from diverse origins. Notes from William Eaton’s unique stringed instruments (harp guitar, spiral clef, o’ele’n strings, lyraharp guitar) combine with Claudia Tulip’s silver and indigenous flutes and pan pipes, Allen Ame’s invented six string violyra and violin, Mary Redhouse’s five octave native voice, and ethnic-world percussion from players Will Clipman and Keith Johnson. The resulting music is a collection of grace-touched melodies in rich impressionistic arrangements that transports the listener to the far reaches of the imagination. 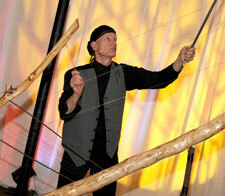 Eaton has collaborated with R. Carlos Nakai, the world’s premier performer of the Native American flute, since 1986. 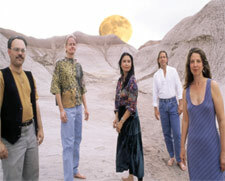 Their first three recordings on Canyon Records received critical acclaim, including the GRAMMY® nominated Ancestral Voices for Best Traditional Folk Album in 1994. In 1995 multi-talented world percussionist Will Clipman joined with the duo to add rhythmic nuance and trance-groove to the mix. The trio released Feather, Stone and Light, a Critic’s Choice by Billboard magazine in 1995 and Red Wind in 1998 a NAMMY winner for Best Instrumental Album of the Year (Native American Music Awards). Tibetan flutist Nawang Khechog joined the trio in 2001 for the recording In A Distant Place a GRAMMY® finalist for best New Age album of the year. 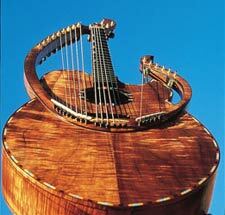 Acknowledged as one of the world’s great designers and builders of unique guitars, Eaton’s instruments have been featured in books, magazines, video, luthier conventions and at international exhibits. 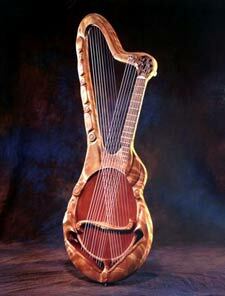 As an apprentice to John Roberts he built his first guitar in 1971. 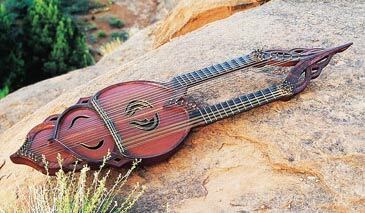 Along with Roberts and Bob Venn, he co-founded the Roberto-Venn School of Luthiery in Phoenix in 1975, where he continues as director of the school and creator of new instruments.